Windows are constructed of more than just wood and glass. Hardware not only makes windows functional, but it also enhances their appearance. Hardware is a bit like jewelry for your windows. However, the nomenclature for the hardware may be rather confusing at first glance. Below you will find a brief glossary of some terms that may be of interest when restoring your wooden windows back to their original splendor. 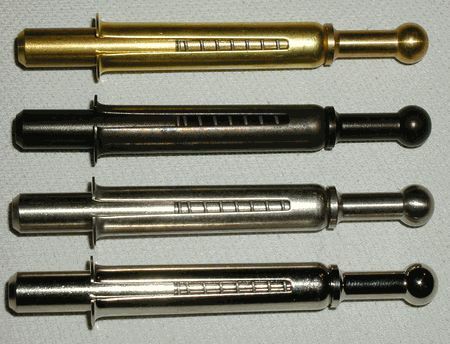 Cames: These are the lead rods that hold together the pieces of glass in a leaded or stained glass window. Chain attachment spiral: This looks much like a small, metal spring and it is placed into a hole drilled in the window stile. This is how the chain of a weight and chain window is attached to the window sash itself. Cremone bolt: Most often used on French and double doors, this vertical locking system consists of two separate locks which are found at the top and bottom that are operated by a single handle located at the center of the bolt rod. Pulley: This is the small metal wheel, often made of brass, on which the chain of a weight and chain window rides. Sash chain: This is the somewhat fine-gauged chain that connects the widow sash to the weight. This is what rides on the pulley. Sash cord: Made of braided cotton over a nylon core, this is a less expensive alternative to a metal sash chain. Sash lift: This is the handle, usually affixed to the bottom rail of a window. It is used to raise and lower the sash. Sash lock: As the name implies, this is the hardware used to lock the sash to prevent it from being opened. Sash weights: These weights are made of either iron or lead, and they can be round or square. They serve to create the counterbalance necessary to operate the window. Spring bolts: These are most often used on single hung sashes to allow the window to allow it to be opened at any desired height. One end is installed in the sash stile via a 3/8" hole and a small hole is created in the jamb to hold the window open at any desired height. 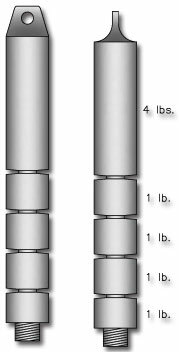 Tape balance: This type of opening and closing system is most often used in retrofitting weight and chain windows that have had the weight chamber filled in. The tape balance functions somewhat like a metal tape measure, with the exception that the tape balance has considerably more tension. Understanding what these terms mean will help to make the process of restoring or replacing your historic wooden windows less daunting of a prospect. Having the confidence to discuss windows in detail will ultimately yield a more satisfying result in the decision-making process. Knowing exactly what you want is the first step towards getting exactly what you want.